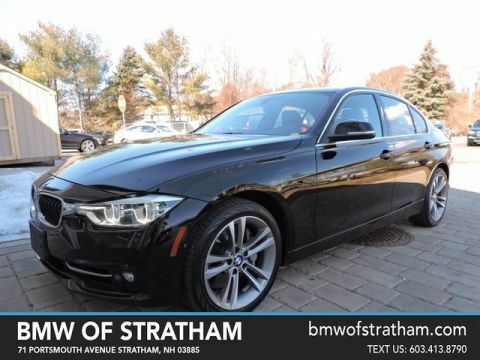 We are excited to offer this 2017 BMW 3 Series. BMW CERTIFIED!!! This BMW includes: NAVIGATION SYSTEM Smart Device Integration Navigation System Hard Disk Drive Media Storage MP3 Player DRIVER ASSISTANCE PACKAGE Rear Parking Aid Back-Up Camera COLD WEATHER PACKAGE Heated Rear Seat(s) Heated Steering Wheel Heated Front Seat(s) *Note - For third party subscriptions or services, please contact the dealer for more information. * Drive home in your new pre-owned vehicle with the knowledge you're fully backed by the CARFAX Buyback Guarantee. 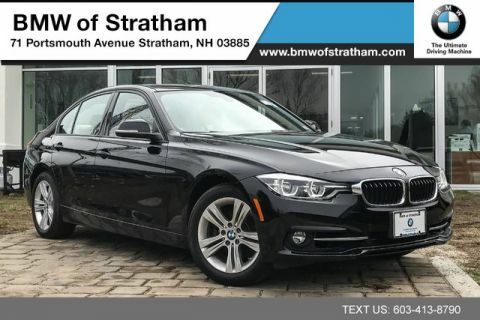 The CARFAX report for this 2017 BMW 3 Series 320i xDrive NAVIGATION COLD WEATHER DRIVER ASSIST highlights that it's a One-Owner vehicle, and for good reason. A One-Owner vehicle gives you the feel of owning a new vehicle without paying the new car price.  We at BMW of Stratham are very meticulous. This hand-selected Certified Pre-Owned vehicle has surpassed our own standards and requirements. The BMW 3 Series 320i xDrive NAVIGATION COLD WEATHER DRIVER ASSIST is economically and environmentally smart. BMW clearly delivers on its promise to provide a fuel-efficient vehicle that has the great qualities you need in a vehicle. 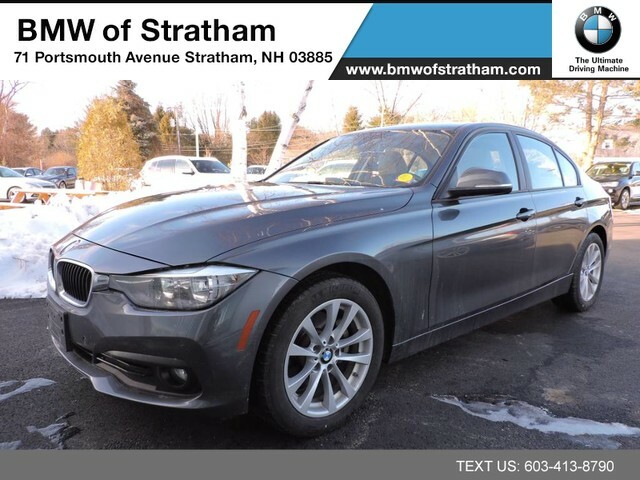 Take home this 2017 BMW 3 Series and enjoy the safety and added performance of AWD. The incredibly low mileage and painstaking upkeep on this BMW 3 Series makes it a once-in-a-lifetime deal that won't last long! Call us today to reserve your test drive! Left your phone at the restaurant? No problem. 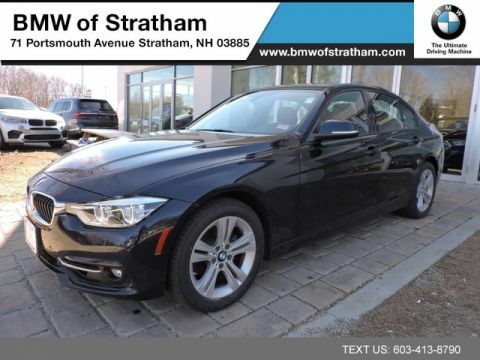 With the navigation system on this BMW 3 Series, you'll be able to quickly find your way back to get it. This finely crafted vehicle is engineered to last. But just in case it doesn't, you can take comfort knowing it comes with a manufacturer's warranty. When this vehicle was shipped from the factory, BMW decided that no option should be left off of this magnificent automobile. So, if you're in the market for a BMW 3 Series 320i xDrive NAVIGATION COLD WEATHER DRIVER ASSIST that is equipped with copious amounts of options, then we may just have the perfect vehicle to suit your needs. We look forward to seeing you soon! Please call us for more information.